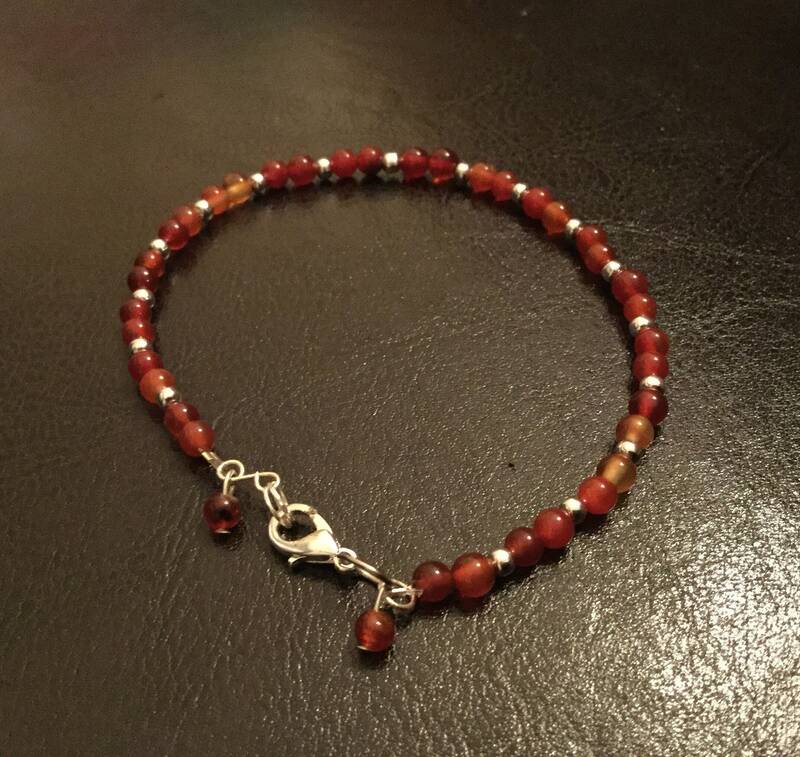 Handmade bracelet with red dyed agate spheres and metal beads. Can fit up to 7.5 wrists. Lobster clasp.